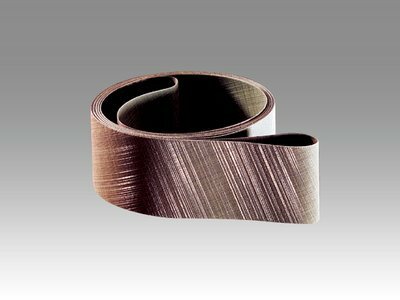 3M Trizact coated 307EA sanding belt uses aluminum oxide as the abrasive material. 3M incorporates this aluminum oxide material into the sanding belt forming a grit of A6. This particular 3M sanding belt is 2 in wide by 132 in long. This abrasive is on a cloth backing, JE weight.